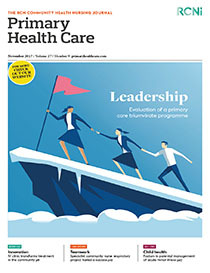 As evidence and experience play an important role in underpinning primary healthcare, combining them in a reflective practice case study has significant potential for purposes of publication and revalidation of professional practice. Reflective practice case studies have the potential to help other nurses in the community re-examine care challenges and the opportunities before them. Nurses writing about a clinical case experience can add to the relevant evidence, as can discussion of the insights and issues that emerge. While research and reflective practice are regularly written about more generally in the press, there remains scope for nurses to combine them in a more analytical and pertinent way. This article guides the reader through the process of identifying suitable case studies to write about and structuring the work they produce. Clear distinctions are made between case study as research methodology and case study as reflective practice process.